In November 2018, the All India Football Federation (AIFF) entered into a Memorandum of Understanding (MoU) with the Government of Odisha to boost Women’s Football, Indian Arrows and Indian Football overall. The MoU came into effect almost immediately, and after three months, there is a resounding thumbs-up from the players and staff, all of whom unanimously expressed their satisfaction at the facilities provided to them by the Government of Odisha. “It is great to see that a State Government is taking so much interest in Indian Football. No words are enough to thank them for their support,” he said. “As a young player, there’s really not much more you can ask for. All our basic necessities are taken care of, and it allows us to give our best when we play. It is a homely setting for the boys and we have been made to feel welcome here,” he added. 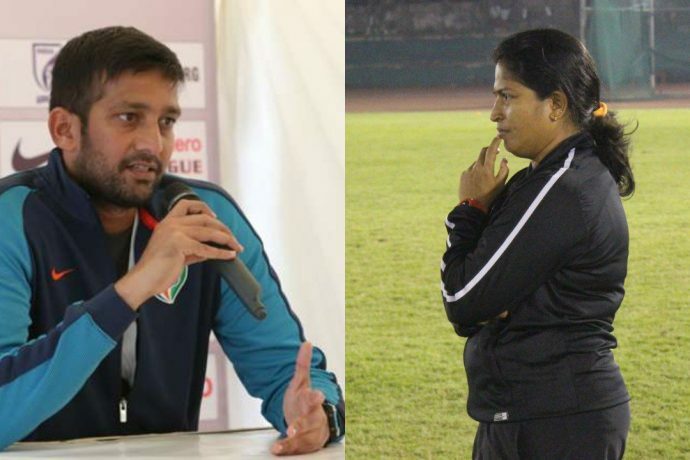 The Arrows side is currently competing in the ongoing Hero I-League 2018/19 season, with the Kalinga Stadium in Bhubaneswar being their home stadium, and their training venue. Their residential base is the Kalinga Institute of Industrial Technology (KIIT) in the same city, which boasts of a number of top-notch facilities coupled with a relaxing environment. Along with spacious rooms for the players and staff, the team has an exclusive gym, mess and a multi-purpose hall, which is used for team meetings, and video analysis sessions. Additionally, the location and greenery around also allow them to relax and wind down. The Kalinga Stadium is currently playing host to the Hero Gold Cup where the Indian Women were off to a winning start against Iran in their opening encounter. Immediately after the victory, Head Coach Maymol Rocky went back to the training facilities provided to the women’s team which, she felt, facilitated their preparation. “The facilities provided to us been very excellent. Most importantly, we have been treated very well. Off the pitch, all our needs have been looked after which helped the players to focus on their game. The Gold Cup is a great platform for us,” she stressed. “It is exemplary that the Government of Odisha has taken such an initiative and is investing so much to help the growth of Indian football,” an elated Maymol commented. The Indian women’s team have been camping and making best use of the facilities provided since December 2018. In between, they had travelled to Hong Kong and Indonesia where they won all their four Friendly matches. The Government of Odisha had also played host to the Hockey World Cup in November 2018.